Andhra Pradesh Postal Circle has released an official notification for the post of Multi Tasking Staff in 2015.To get further details read out the AP Postal Circle recruitment 2015 notification. Age Limit : Candidates should be aged between 18 to 27 years as on 21-03-2015. Education Qualification : Candidates must be passed Matriculation or ITI from any recognized Board or university. Application fees : General and obc candidates have to pay Rs. 100/ for Application form Registration & Rs. 400/- for examination fee. 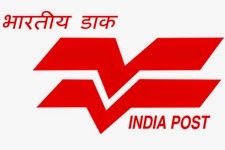 The Fee is to be paid under Sunayasam Head: Postman Recruitment 2015 at the Head Post office. 0 comments for " AP Postal Circle Recruitment 2015 for Multi-Tasking staff "